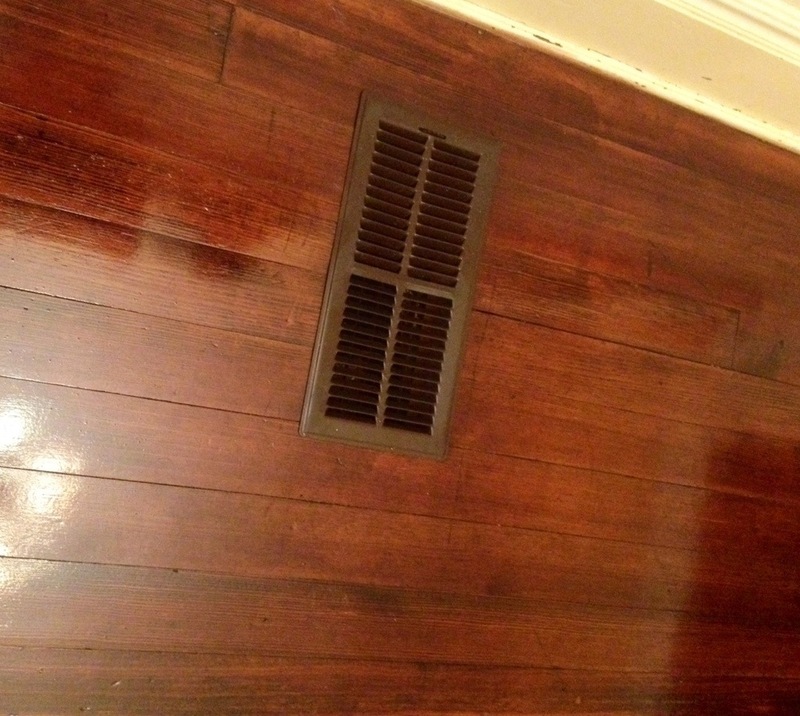 Today, I was able to finally finish putting poly on the back part of the hall. I did not take any pics. It looks just like the ones a couple posts down. When it is all dry and I move my furniture back in, I will take pics of the final project. I want to install my pew and picture rail first. A couple of them I’m turning in to holiday decor for the porch. I distress painted them and I’m going to put JOY and NOEL in red letters on them. I will lean them on the front porch. 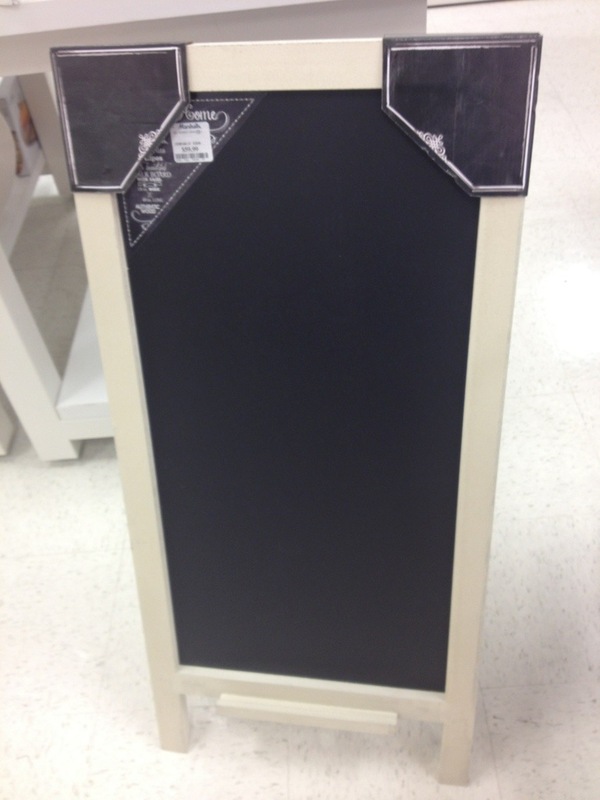 One of the other smoother boards I am going to make into an oversized chalkboard. Kinda like this one I saw, but much larger. I also took some of the old 100 year old wall boards (that were taken down in order to add our bathroom) and made a low hanging coat/book sack rack for the kids. 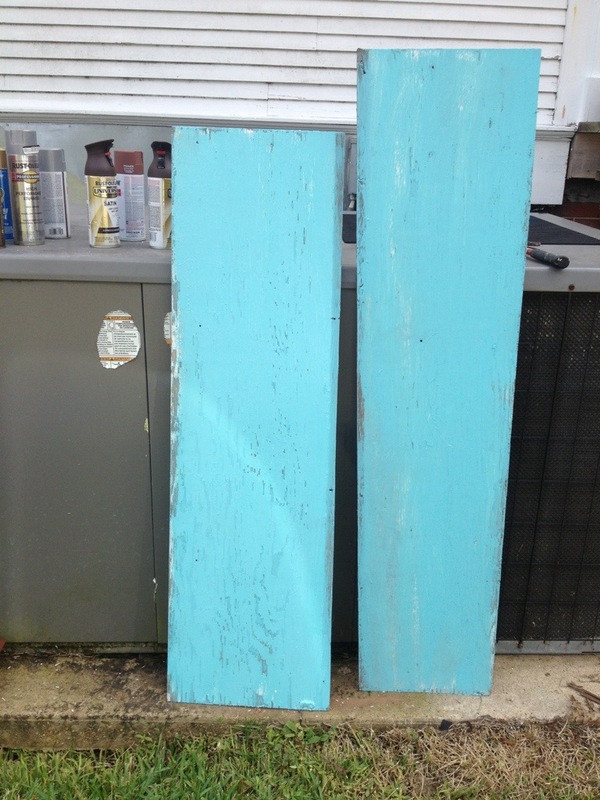 The top piece is a leftover piece of baseboard painted with chalkboard spray paint from Lowes. I will probably write on it too. 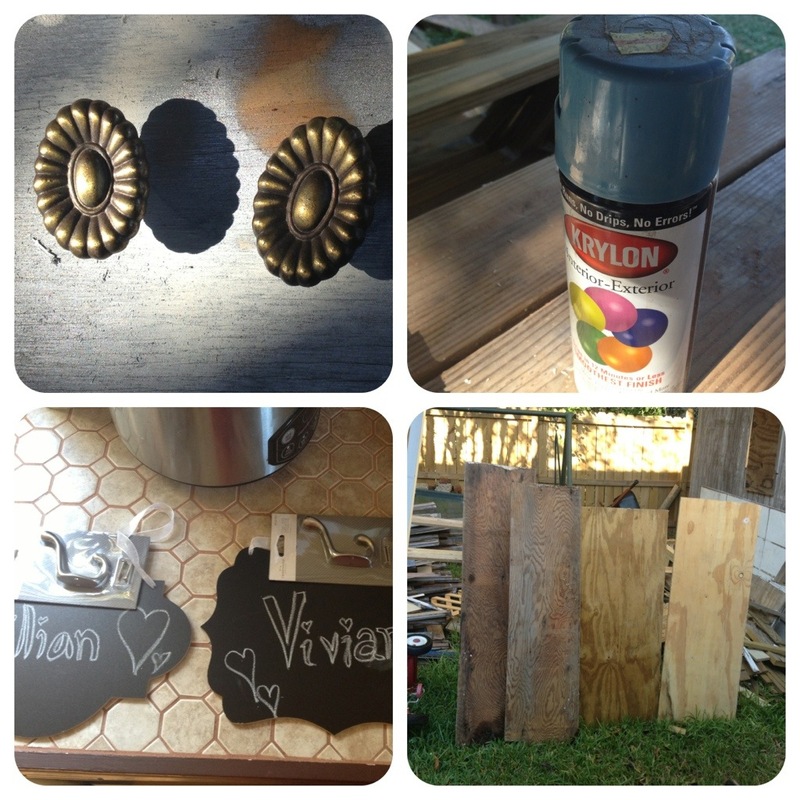 The knobs were some ugly brass ones I took off of my night stands when I painted them many moons back. I painted them with spray paint leftover from some project or other. 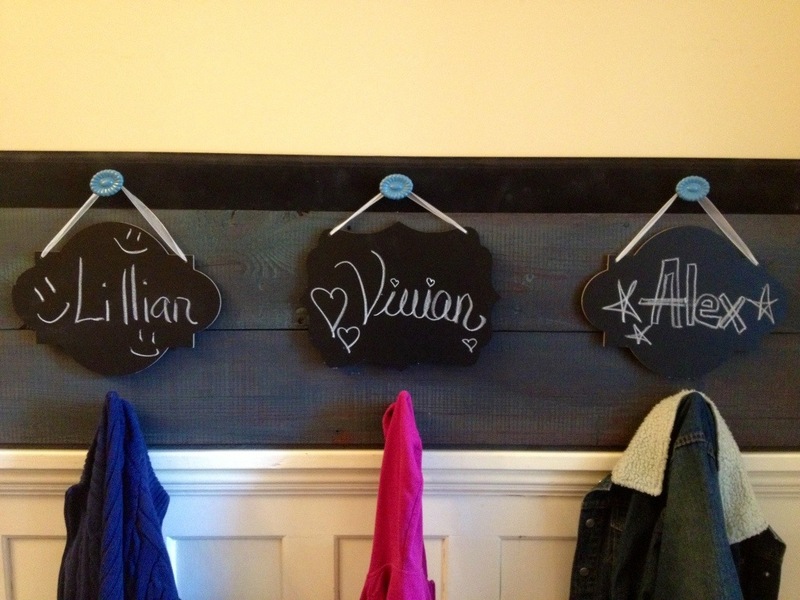 The coat hooks are from Target and the chalkboards are from Hobby Lobby. Steven painstakingly primed the new back porch rail he built. 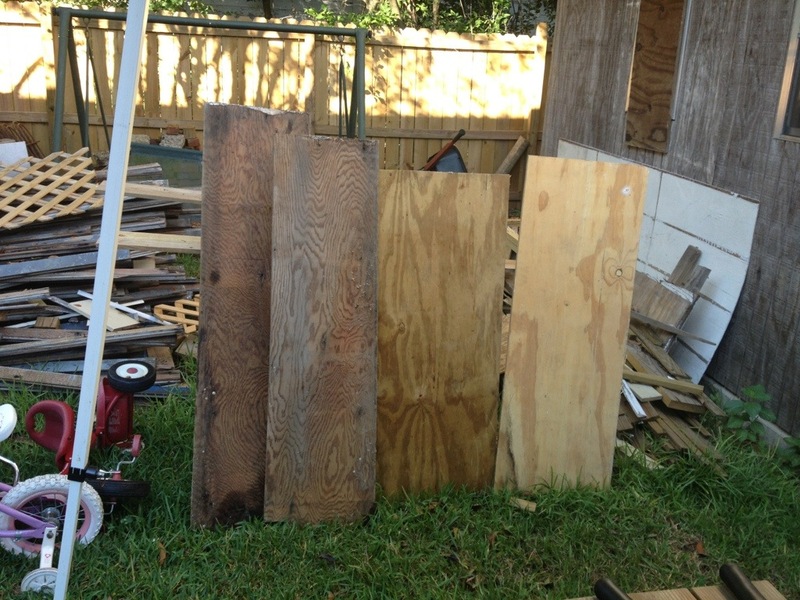 It took him allll day just to prime them….ick. I also pulled up all the horrifically ugly floor registers and cleaned, rust primed and painted them. Overall, it was a very productive day and I’m pleased with what we accomplished. Thanks for stopping by…or sticking with us! It’s been a long road, hasn’t it?